Plus, the final APEC round-up, NYT and Xinhua trade barbs, and a new resource for Asia’s maritime disputes. China links. China displayed its new Shenyang J-31 fighters at the Zhuhai air show this week, sparking a wave of interest in the stealth fighter. As Robert Farley noted for The Diplomat, China seems more interested in selling this model than in using it. “Conceivably, the J-31 could occupy a low-end stealth fighter niche that currently has no other entrants,” Farley writes. 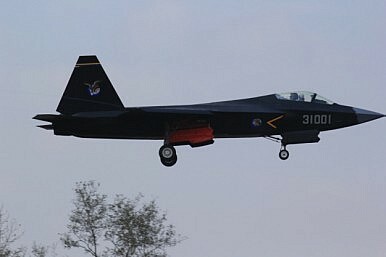 However, The National Interest takes a closer look at the J-31 as a serious indication that “China’s new stealth fighters might one day be able to match their American equivalents in battle.” Many American analysts believe the J-31 is based in large part of stolen U.S. technology used in the F-22 and F-35 – meaning the J-31 (once it’s out of development) may be an even match for America’s own fifth generation jets. U.S. defense officials are already pointing to the J-31 (and China’s other stealth fighter, the J-20) as proof that the Pentagon should double down on the F-35 program. For those of you who haven’t gotten enough APEC coverage, Xinhua unveiled an “A to Z” list of keywords covering the major developments. Another Xinhua listed the new “buzzwords” from the summit, including FTAAP, the “belt and road,” and the Asia-Pacific Dream. You can also check out the official APEC declarations, collected on the APEC website. Needless to say, Chinese state media did not take this well. The Times op-ed elicited a commentary in Xinhua entitled “No excuse for Western media to run unchecked in China.” Xinhua dinged the Times for using “a tone saturated with self-righteousness and superiority” before claiming that the op-ed “missed the key point of the issue.” After admitting that “it is understandable” for Western media outlets to see China from a different perspective, Xinhua nonetheless complained about the Times’ “unfairly hardline stance against China, with many of its news coverages defying China’s national interests or the common will of the Chinese people.” It’s not clear how Xinhua connects “unfairly hardline” coverage of China to violations of Chinese law, which are the general excuse for denying journalist visas. Finally, for anyone interested in running commentary and updates on Asia’s maritime disputes (which probably includes the vast majority of China Power readers), be sure to check out the Asia Maritime Transparency Initiative, designed by the Center for Strategic and International Studies. AMTI includes a map listing the latest developments on territorial disputes as well as a wealth of analysis and research on the issues.